There’s no shortage of merino wool sweaters, and while I have a few, I didn’t have one I loved. 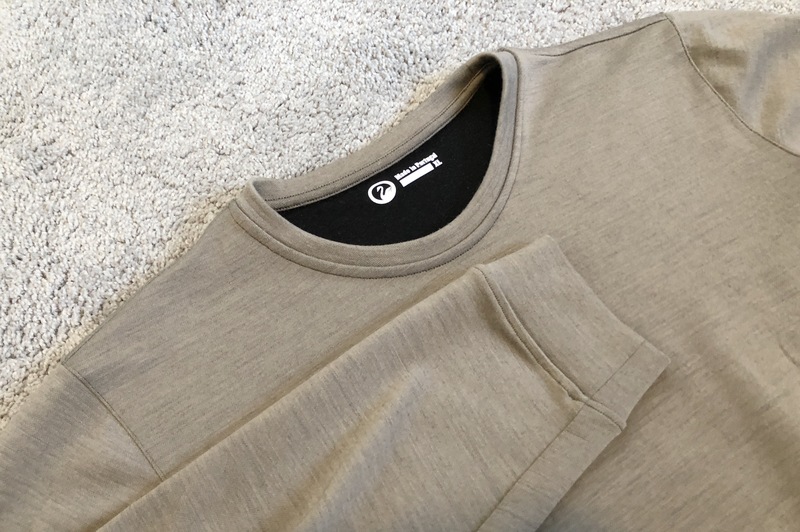 So when I picked up the Outlier Doublefine Merino Pullover, I wasn’t sure what to expect. I thought it may be more like a sweatshirt, but it is a sweater. Dressier than any sweatshirt, and just as comfortable as a sweatshirt. My first impressions of the pullover immediately focused on how smooth and soft it feels while also being substantial. It is something you could wear to dress up any outfit, but still not be out of place in more casual settings. 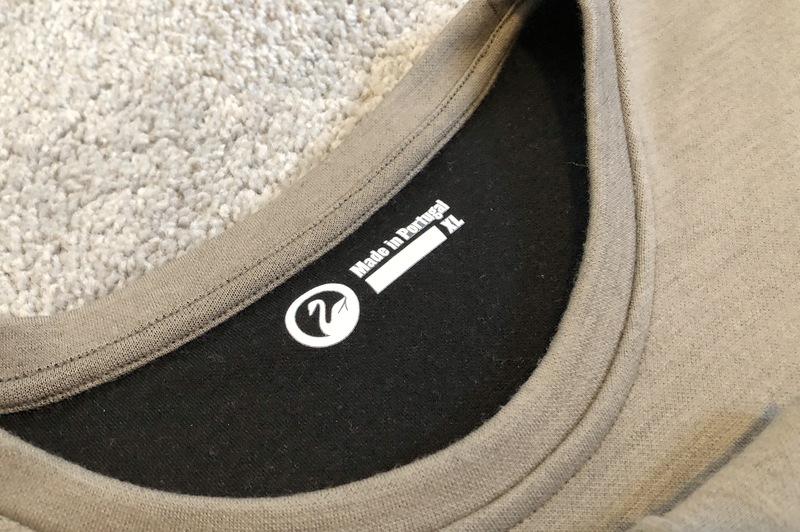 Like all merino goods, it’s very comfortable to wear throughout the day, and I found it to err more on the side of not being warm enough than being too warm. Paired with a warmer t-shirt, or even a button down, you’ll be able to withstand weather nicely. The cut is well tuned to wearing as a layer for your wardrobe. The sleeves and body have enough room to fit another shirt under it, though there will be a few dress shirts which may not work if the sleeves are not narrow enough at the armpit. Also, the collars of most my button downs don’t work well that’s the only hang up I have with it — it’s hard to wear a button down under this as a layer. One note about the pullover is that it will shrink the first time you wash it (even if you hang dry, even if you wash it in cold water), the pullover will shrink in the length of the body. Mine fit perfectly new, but after washing it, I find it to be barely long enough for me. Hopefully it won’t shrink any further, because I do like it. This is something to keep in mind, if like me you have a longer torso — you might not be able to make this work. It’s on the cusp for me. Speaking of the length, the sizing on this garment is odd. The sleeves and body length are shorter than you would expect from other Outlier goods. Your Ultrafine Tee will stick out well past the bottom. I’m sure there’s good reason for this, but I wish it was about an inch longer, as I find it harder to figure out what to wear under it. At nearly $200, this is not an inexpensive merino pullover. It is though, the nicest I’ve come across — which is about what I expect from Outlier’s Doublefine lineup. This will get substantial rotation this fall and winter. It’s very nice, but you pay the price for that — and luckily the return policy is solid enough to mitigate the odd sizing.